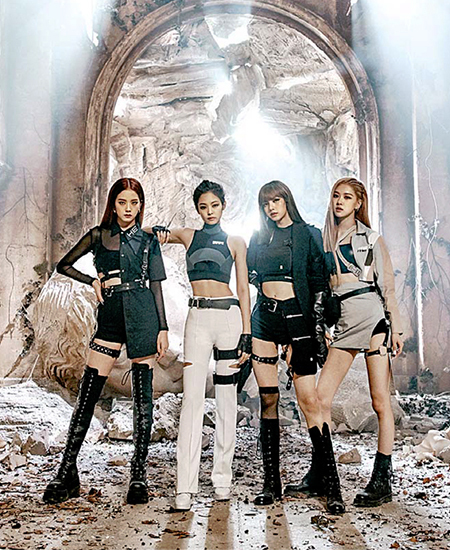 YG label star girl group BlackPink’s newest song “Kill This Love” ranked top in the iTunes song chart of 37 countries including the United States, setting the bar high for female K-pop acts. It is also the first in 15 years any girl group has landed on the top of the U.S. iTunes song chart. The music video of “Kill This Love” also was watched by over 100 million across the globe in just 62 hours since its release on Friday, reaching the benchmark at the fastest pace among YouTube videos. BlackPink’s record-breaking achievements are a relief to its producer YG Entertainment, which has been hit hard by epic scandals involving a former member of longtime favorite Korean boy band Big Bang. Seungri, the former youngest of Big Bang, has been under police investigation on a number of criminal charges including embezzlement, drug abuse and brokering prostitution, taking down the household K-pop house and its stock. Buoyed by BlackPink’s big achievements, YG Entertainment now is planning to bolster its promotional activities for the South Korean foursome in the North American market, with the latest five-track album dropped at midnight on Friday under an agreement with its U.S. partner Universal Music Group. YG Entertainment agreed to partner with Interscope Records under Universal Music Group last year to internationally promote the group. A new album or song is usually unveiled at noon or 6:00 p.m. in Korea to draw more attention and rank high on domestic music charts compiling real-time streaming data except for the late-night time from 1:00 a.m. to 7:00 a.m. under the chart freezing policy to block attempts of digital chart manipulation. BlackPink’s new title, however, has been on the top three of domestic real-time charts since Friday morning despite the midnight release. The quartet will also perform at this year’s Coachella Valley Music and Arts Festival on Apr. 12 and 19 in the U.S., one of the biggest music festivals in the world, as the first female K-pop act, and tour six cities for eight concerts across North America starting Apr. 17. 3The global economy due to enter recession: New York Life Investments C..
4Korea has role regionally in ASEAN and bilaterally with Thailand: envo..